A quest for authenticity, with an emphasis on hand-crafted traditional textiles. I have been waiting to communicate these thoughts for a very long time. Before House and Garden shut its lovely doors, Dominique Browning and I conversed together about publishing this piece. But now is the age of the blog. So rather than using a print magazine, I will push this forward for all to read and contemplate. The discussion of thread count in the bedding world is largely specious. The term “thread count” was originally developed in the USA to differentiate percale from muslin. A thread count is the measurement of threads per square inch. A thread count that was 200 and over was considered to be a percale. Anything under 200 was considered to be muslin. This nomenclature was never meant to apply to sateens, jaquards and other European manufactured sheeting which are not constructed using the simple “over and under” weave of a percale. For example, to achieve a sateen, threads are “floated” on the surface. When European sheeting made a serious entrance into the marketplace 25 years ago, Americans continued to ask this question because the packaging was not marked with thread counts, as this standard of measurement had no meaning in Europe. Europeans measured some qualities by grams per square centimeters. Lest I state the obvious, they do not use inches in Europe. Within a short time, the meme had been created. “What is the thread count? What is the thread count?” chanted the eager luxury consumers. It was meant to project an intelligent question; a question that reflected the knowledge of the consumer. 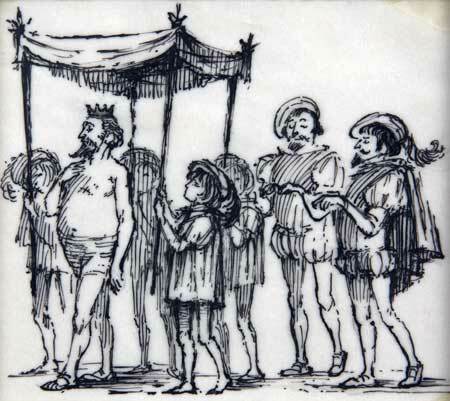 After all, European sheeting was far more expensive than American percale. And if American percale listed thread counts, then so should the rest of the world. It snowballed. European manufacturers were forced into declaring thread counts. Anichini was included in this charade, which I refer to as “The Emperor with No Threads” Companies were afraid NOT to give the consumer a response, so they loosely created an answer to a question that should never have been asked in the first place. We at Anichini resisted for a very long time; attempting to educate the public. But eventually, even we caved in. Every time I had to answer this question and neglected to give this full explanation, I would experience an internal cringe. However, in all these years, we never marked thread counts on any packaging other than percales. Once that started, the race for higher and higher thread counts took off. Because, after all, higher had to be better! Higher thread counts on packaging became a marketing tool. For the record, in weaving typical long staple cotton yarns, you cannot achieve much over 500 thread counts. 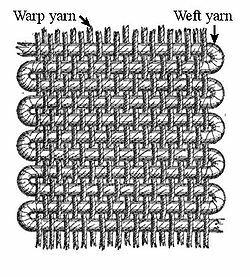 However, if you use twisted yarns or double yarns, you simply multiply times 2 and you get 600, 800, etc. In my opinion, if you have a sheet with a 1000 thread count, you may as well wear a raincoat to bed. The weaving is so dense, it does not breathe. VERY recently, I have seen super high thread count sheets created with yarns meant for clothing. They are beautiful and very pricey. But this is an exception to the rule. A textile lover should be able to touch the fabric and feel it’s “hand”. How does it feel to you? In reality, the quality of the yarn or threads is more important than any superficially applied description. You may prefer one hand and not another. For instance, you may like linen sheets in the summer and cotton in winter. Linen has a natural coolness to the hand. You may prefer silk sheets or mist lino sheets (50 cotton/50 linen). None of this personal attraction to a specific hand has anything to do with thread count. There are fabulous sheets produced with low thread counts. Cotton voile is a perfect example; linen is another. A loose analogy could be purchasing wine. Do you buy a bottle of wine because it has a higher alcohol content? No! You know that a Riesling has a different alcohol content than a Pinot Noir, but you purchase the wine because you like the taste. In the same way that different seasons suggest a different wine, the same is true with sheeting. Bottom line: Have faith in your sensibilities. Open the package. Remove the sheet and feel it. Look at your hand through it. Is it sheer enough to your liking? Is it heavy enough to your liking? Is it smooth enough? Is it crisp enough? Is the sewing perfect. Are the stitches small and even? Are the hems even? There should be no puckering. Think of it in the way you would buy good clothing! Persia, in a class by itself. Kea Kilim Brooklyn, All you need is one good rug! Floracopeia David Crow: A foremost expert in botanical medicines and ecology. Hudson Valley Seed Library Heritage seeds and artists join together. Sustainability Institute An important organization. A favorite non-profit. In my backyard. Tunbridge Fair Oldest Agricultural Fair in the USA . In my home town. Women for Women International Astounding organization founded by Zainab Salbi. We support 6 women at all times. A World Lit only By Fire by William Manchester: The Medieval Mind and the Renaissance. Botany of Desire by Michael Pollan: A plant’s eye view of the world. Comfortable with Uncertainty by Pema Chodron: American Buddhist nun unfolds a practice to live happily. Operating Manual for the Spaceship Earth Buckminster Fuller: Published in 1968. It was a life changer. Rework Everything you need to know about running a business NOW. Myths debunked. Cornucopia Essential reading on Turkey. Gorgeous publication. Fortnight Journal Writings from the new media generation. Hali English publication dedicated to carpets, textiles and Islamic Arts. Mark Bittman How to Cook Everything (or at least most things). The Accidental Hedonist Kate Hopkins’ quirky and wonderful guide to food. World of Interiors My favorite interior design magazine. Hands down.